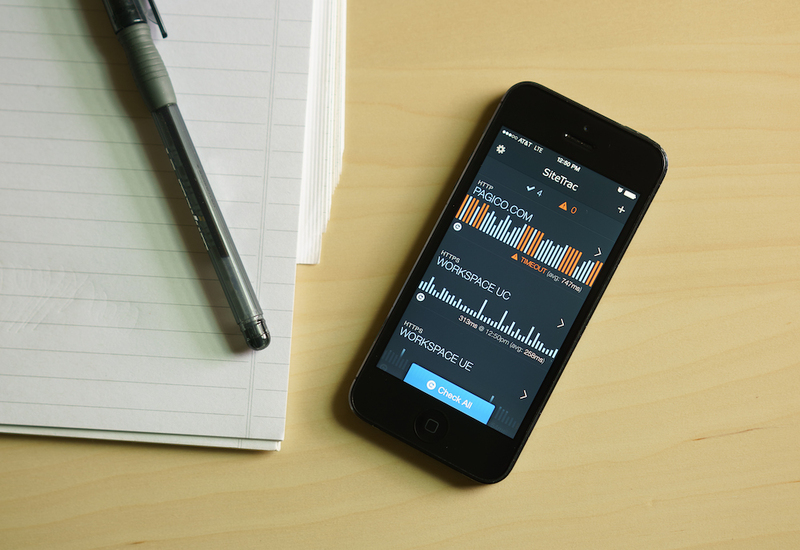 SiteTrac, a brand-new iPhone app by NOTES17, will let you monitor your websites right on your iPhone, with ease. And by with ease, we really mean it: This is a website monitoring app designed for the normal people. The app is free of jargon and requires minimal configuration. In fact, all you need to do is to put in your domain name. Then the app will then monitor your websites quietly in the background (or in the foreground, if you’d like to see how your servers are doing). SiteTrac will let you know as soon as any of your servers is down. Extremely easy to use, and designed for iOS 7 with Background App Refresh, SiteTrac is all you need to keep an eye on your websites. SiteTrac is coming soon to your iPhone. If you’re interested, sign up to be notified when it’s ready!